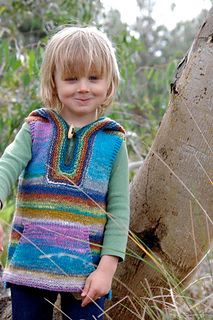 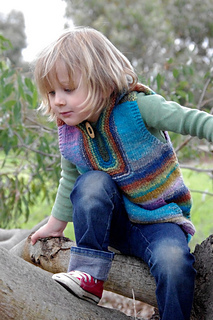 Griffin is the perfect kid’s pattern for showcasing Noro yarn. 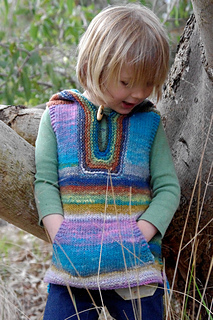 Griffin is a top-down seamless vest with design elements that hark back to the 1970s. 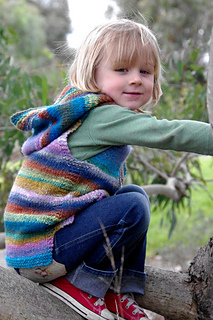 It has a fun and quirky construction twist on the traditional saddle shoulder that attempts to minimise finishing and the stop and start aspect of traditional saddle shoulders. 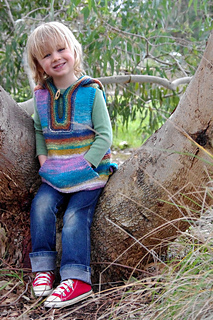 It can be knit with or without a hood, and features a delightfully easy to knit-in-as-you go kangaroo pocket. 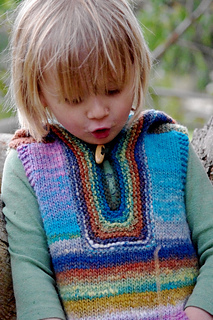 The finishing touch is the gorgeous mitred neckline. 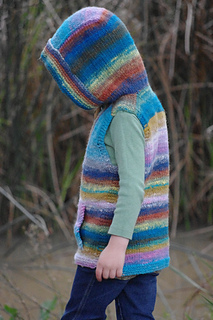 While Griffin looks awesome in Noro, it is equally suited to variegated, semi-solids and solid yarns. 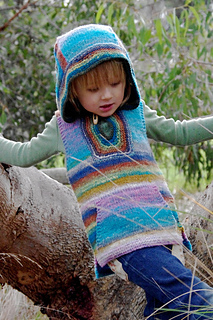 It’s a great blank canvas for stripes, embellishments or colour work. 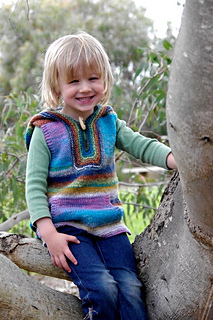 An 8ply/DK weight version of this pattern is also available here.